I have been away for a long time. After I got to know that Cucumbertown was shutting down, I was sad , upset and also a bit disillusioned. I got introduced to the world of food blogging through Cucumbertown and its Co- Founder Cherian Thomas. 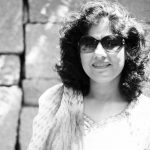 Finally, I mustered the courage and with support from my Husband and migrated to WordPress. 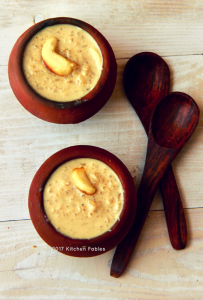 Since this is a new beginning for Kitchen Fables , in its new avatar I thought of starting off with something sweet and healthy – Healthy Date Palm Jaggery Kheer also known as Nolan Gurer or Khejur Gurer Payeesh. Date Palm Jaggery as the name suggests is made with the sweet sap collected from the Date palm tree. The Jaggery has a unique earthy flavour. It is mostly used in the Bengali Cuisine in India. My mother learnt this recipe from one her friends during our stay in Varanasi in the late 80s. Date palm jaggery is not easily available and is mostly available during the winter season. So, next time you have a friend coming from Kolkata, ask them to get a Kg of Nolan Gur for you or order online from Amazon. A friend from Kolkatta, who was travelling to Bangalore, got me Nolan Gur. 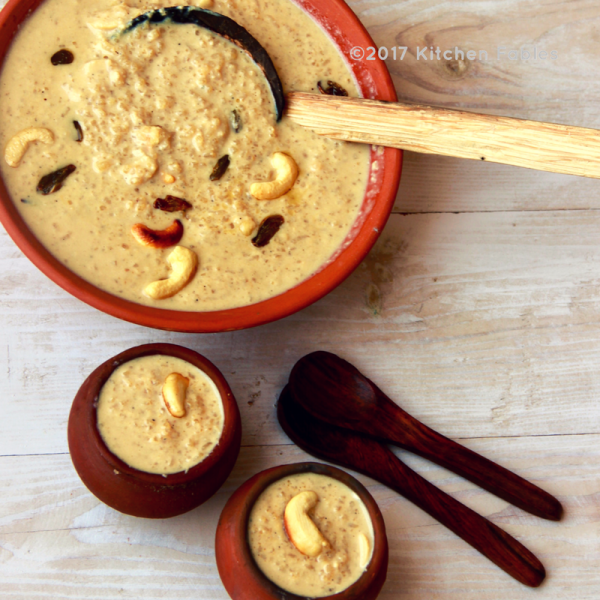 Payeesh is the Bengali word for kheer. I have been planning to make the Payeesh for a long time but never got around to it. Then on my recent Visit to Kanyakumari I bought these lovely Earthen Pots for cooking. 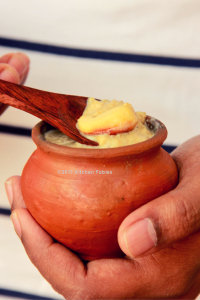 This Payeesh tastes best when it is cooked in an earthen pot as it adds to the earthy flavour and that is how I got around to finally making it. Jaggery has many health benefits over sugar. Sugar is easily absorbed in the blood, there by giving a burst of energy which leads to sugar-highs, addiction and resultant weight gain . Date Palm Jaggery, on the other hand, contains many essential minerals , Vitamins, salt and takes time to Digest. Thereby, slowly releasing the energy. 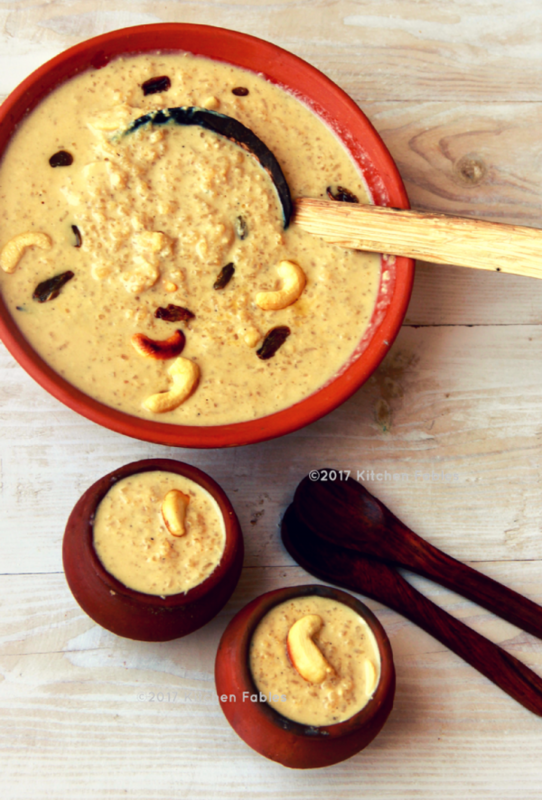 Therefore, Date Palm Jaggery Kheer , is healthier than Kheer made with Sugar. 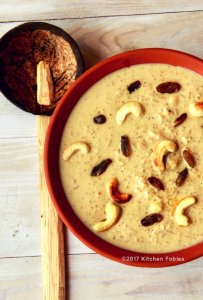 Recipe Of Healthy Kheer With Date Palm Jaggery. A speciality Of Bengali Cuisine. Wash and soak the rices in water for 10 -15 minutes. In a heavy bottom pan heat Ghee. I used an earthen pot . Drain the water and add rice. Stir for 2-3 minutes on low flame. Add Cashews and stir for another 2-3 minutes. Add Milk and Bayleaf. Stir every 4-5 minutes. Once the milk starts boiling , keep stirring every 2-3 minutes such that milk does not scald on the bottom of the vessel. When the rice is cooked and the kheer / payeesh has thickened, switch off the gas. Add raisins and stir. After 5 minutes add Jaggery. If the jaggery is solid melt is in microwave and then add. Hi Monica, Happy to hear from you. I will certainly send you an update, going forward.